For those that don’t like showing off your socks with the translucent upper from the React Element 87, Nike designed the React Element 55 as a solution to that problem. 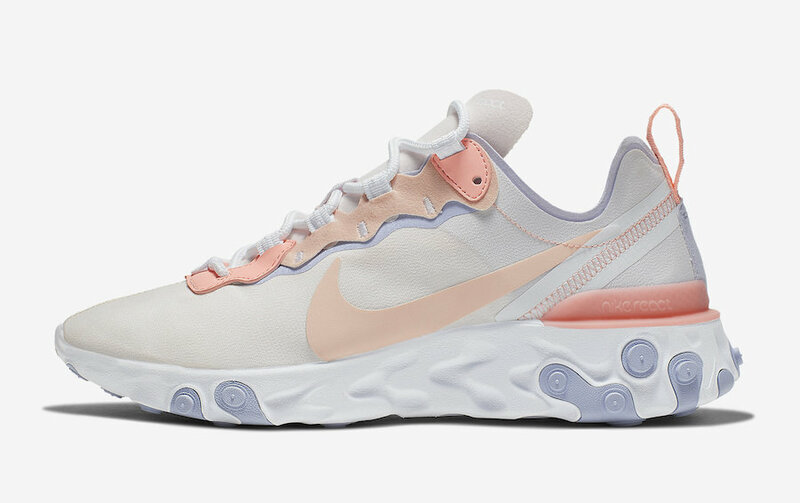 Adding to its lineup, the Swoosh will be releasing another brand new women’s exclusive colorway dressed in a mix of Pale Pink, Washed Coral, and Oxygen Purple. Completing the design is Nike’s signature React technology adding for max cushioning. Check out the official photos below, and look for this women’s React Element 55 to release very soon at select retailers and Nike.com. The retail price tag is set at $130 USD.